PERTH, Australia, 2019-Mar-28 — /EPR CONSTRUCTION NEWS/ — Perth’s leading concrete equipment hire company has bolstered its already extensive inventory of top branded machines with the arrival of a National battery-powered ride-on floor stripper. 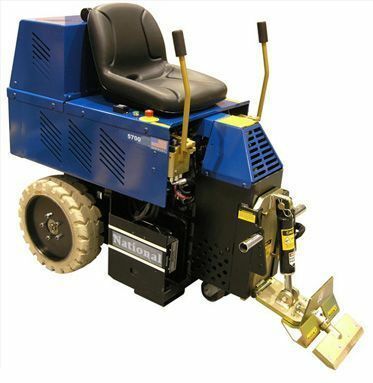 This powerful, yet compact floor stripper will meet the needs of even the most demanding contractor, boasting an impressive 8 – 10 hours of operation on a single charge and capable of easy and rapid removal of even the toughest floor coatings such as wood, ceramics, screed, membranes, vinyl, linoleum and carpet. The unit has a built-in 240V charging system which can be plugged in to any power outlet and its battery operation means it is environmentally friendly, with no harmful carbon dioxide fumes. 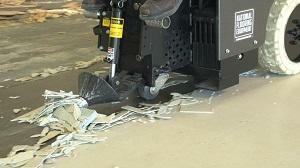 It is also much quieter than other fuel driven floor strippers and creates hardly any vibration. From a safety perspective, this battery powered ride-on floor stripper is unit is hard to beat. It has an automatic kill switch which is triggered when the operator seat is unoccupied and is totally manoeuvrable with complete hydraulic control and a zero turn radius. This unit is also comfortable to ride and drive and very easy to operate. Ergonomically designed controls enable safe and easy handling and the precise hydraulic steering enables easy manoeuvring in tight spaces and accurate control of the machine’s movement and speed. Removable weights mean that it can be configured to meet any elevator weight restrictions, so it’s easily transportable for use in any application including multi-storey buildings. Its tyres are also non-marking giving contractors and customers peace-of-mind that the job will be done to exacting standards. According to Geoff Holtmeulen, MD of Concrete Hire, the availability of this new machine will be welcomed by contractors who want a combination of power, speed, efficiency and versatile manoeuvrability for their floor stripping jobs. For more information on their new battery-powered ride-on floor stripper or for any other specialist concrete equipment hire in Perth, get in touch with Concrete Hire on 0418 222 273 or visit their website, www.concretehire.com.au. Compact Track Loaders Market: Contractors’ preference is shifting from skid steers to compact track loaders in the U.S.